Promoting the outcomes of The Five Colleges of Ohio's Next Steps in the Next Generation Library: Integrating Digital Collections into the Liberal Arts Curriculum grant project. This georeferenced database of archived photographs collected during field studies chronicles environmental change in the Wooster, Ohio region, helping to answer questions such as: Why are streams dramatically cutting into the stream beds and banks? How fast do boulders move down a stream? 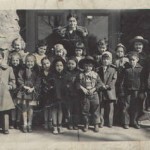 These photos are available online at the GIS Photographic Archive. Published on June 27, 2013 7:05 pm. Published on June 26, 2013 1:36 pm. 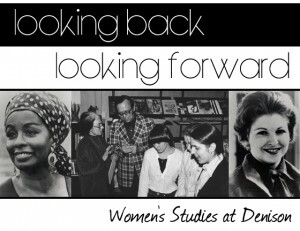 Looking Back, Looking Forward documents the founding of the Women’s Studies program at Denison University. This digital collection contains materials from both Women’s Studies departmental files and from the University Archives. The development of a Women’s Studies program illustrates social change within the academy during a dynamic period in American higher education. Published on June 25, 2013 2:19 pm. 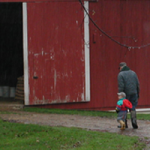 For this documentary project, students in a course entitled Innovations in Agroecology planned and recorded oral interviews of local farmers, gaining first-hand knowledge of their farm operations and their lives in farming. Published on June 24, 2013 3:10 pm. 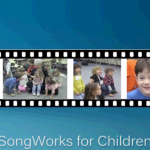 Oberlin Conservatory Professor of Music Education, Peggy Bennett discusses her unique SongWorks video archive of children making music. Published on June 24, 2013 9:07 am. The Kenyon Gullah Digital Archive collects the oral histories of Gullah people who live and work on St. Helena. A team of public school teachers from Cleveland, Ohio working with two professors from Kenyon College, conducted the interviews in the summer of 2011. The residents of St. Helena welcomed these teachers into their homes, places of work, and their churches. 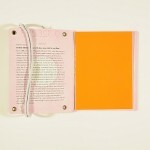 While the archive is a work in progress, it offers a unique window in the history and culture of a unique people. Published on June 22, 2013 2:30 pm. This collection consists of eighty-three photographs taken in the American South West by American photographers (John K. Hillers, W. A. White, J.N. Furlong and others) in the late 19th and early 20th centuries. Subjects range from portraits of American Indians, their dwellings and artifacts, schools and villages to views of railroads, mining operations, cities, and natural landscapes. Published on June 21, 2013 2:24 pm. 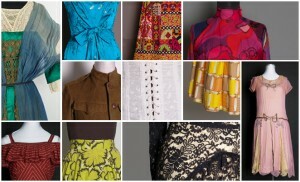 The History of Fashion is a teaching and learning tool that provides access to over 350 garments and accessories from 1830 through the 20th Century. Students in Costume Design and History of Fashion courses will provide additional descriptive information to these items over time. Published on June 20, 2013 2:28 pm. This poster explains how librarians work with faculty individually to create mini-grant applications. 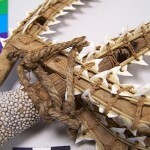 These mini-grants describe how the projects will be used in the curriculum, how students will contribute or benefit from the collection, and what types of technology will be needed to generate a successful collection. Published on June 19, 2013 8:45 am. This digital poster describes the roles of students in the Next Generation Library Grant. Published on June 18, 2013 8:43 am. For the spring 2013 session of Anthropology 456, Seminar in Culture Contact and Colonialism, Professor Amy Margaris gave her students a choice between writing a traditional research paper or using OMEKA to design and create a group exhibit that would explore some of the theoretical issues surrounding culture contact and colonialism. Five students took the challenge. The result is Contextualizing Objects in the Oberlin College Ethnographic Collection an engaging production that will serve as a foundation for future students to build on. Published on June 15, 2013 3:27 pm. How has art changed since 1960? Published on June 3, 2013 1:46 pm.